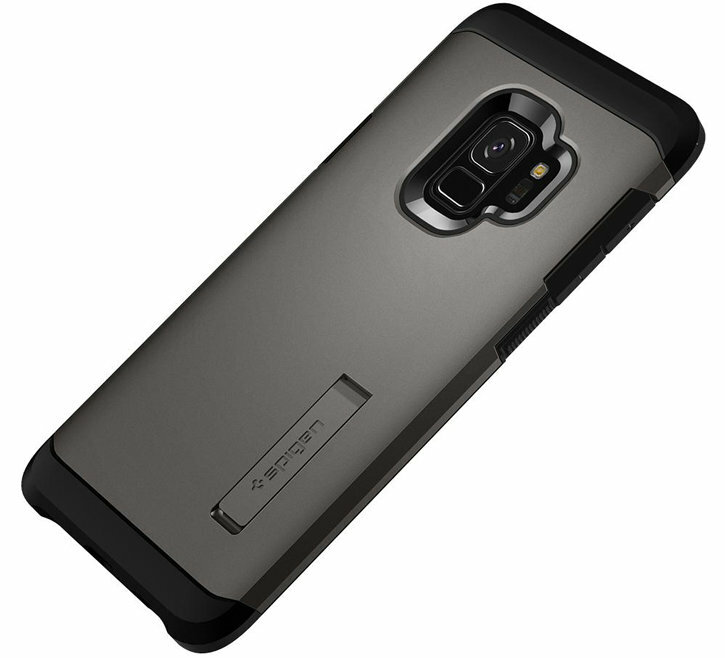 The Tough Armor case for Galaxy S9 is a double layered TPU and a polycarbonate hard case to provide the best protection in a form-fitted design. 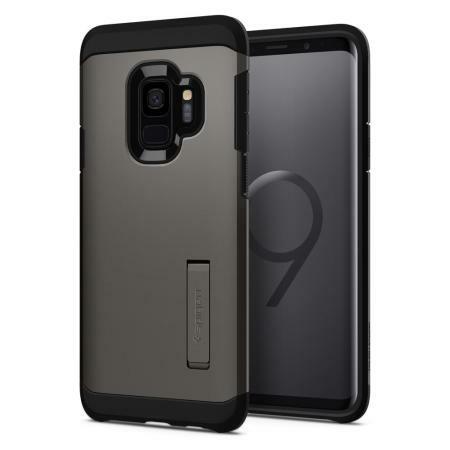 The web patterned TPU case features improved shock absorption on the top, bottom and corners to provide extreme protection for your Galaxy S9 from drops and scratches. 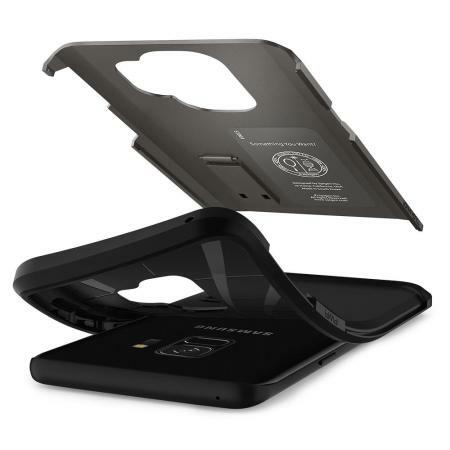 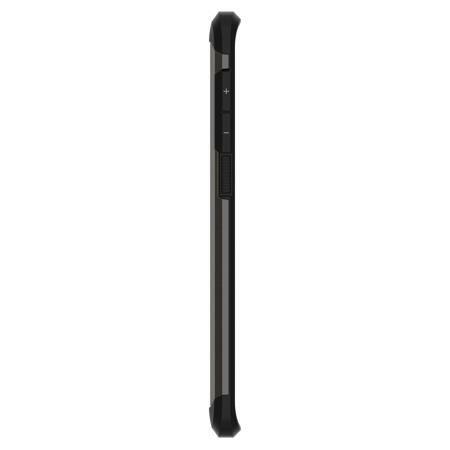 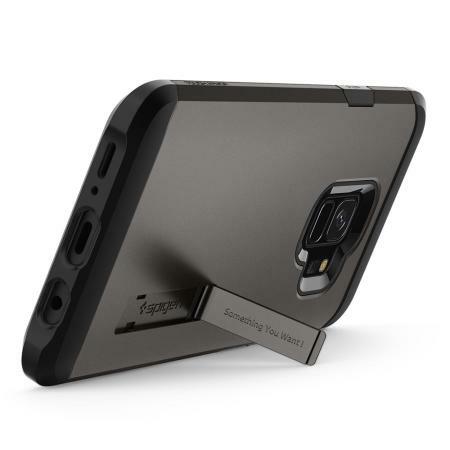 The Spigen Tough Armor case features state of the art shock absorption and Air Cushion Technology on all 4 corners to effectively protect the device from drops. 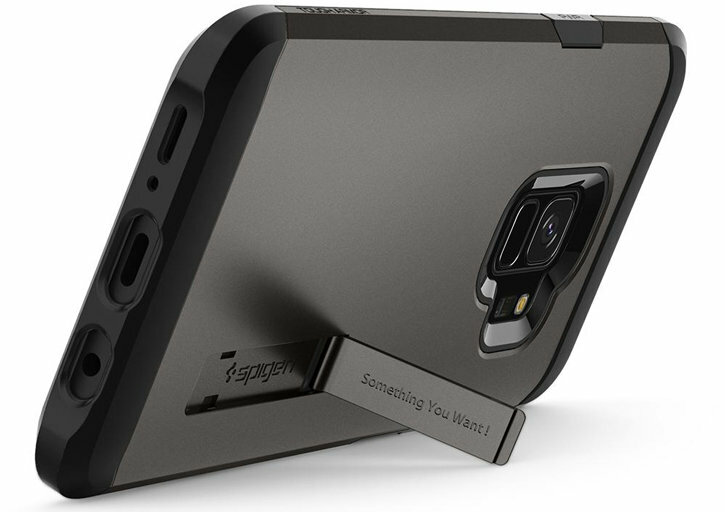 To help protect your screen, the Spigen Tough Armor case features a raised 2.0mm lip -reducing the likelihood of scratches and other damage when you place your phone face down on a flat surface. 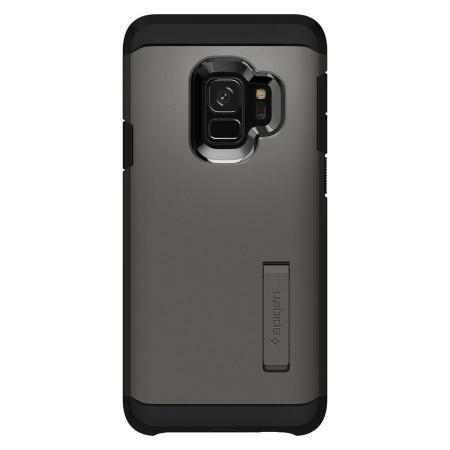 The Spigen Tough Armor Case for the Samsung Galaxy S9 is surprisingly slim when you consider its protective qualities. 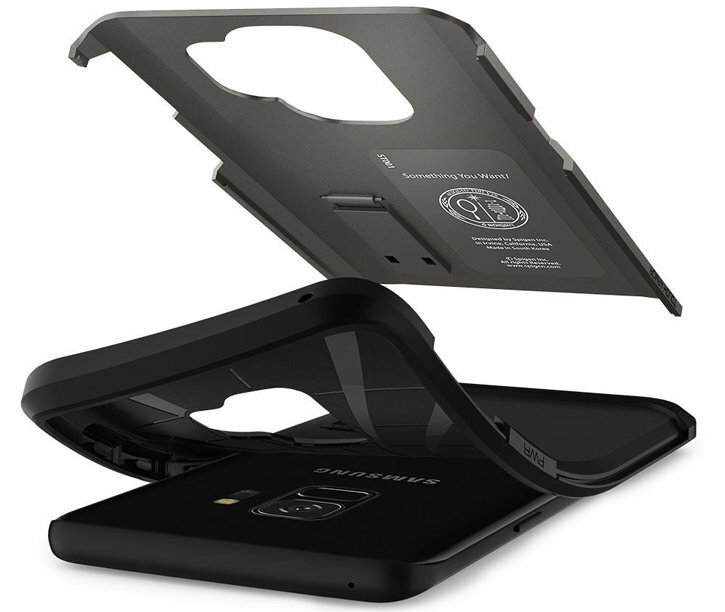 Your S9 will be right at home within the case, protected and ready for action. 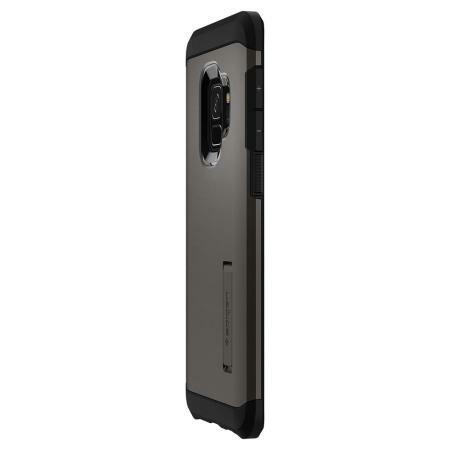 The case fits precisely onto the Galaxy S9 for a natural and sleek look, while the speaker opening is specifically designed to fully utilise the speaker without reducing sound quality. 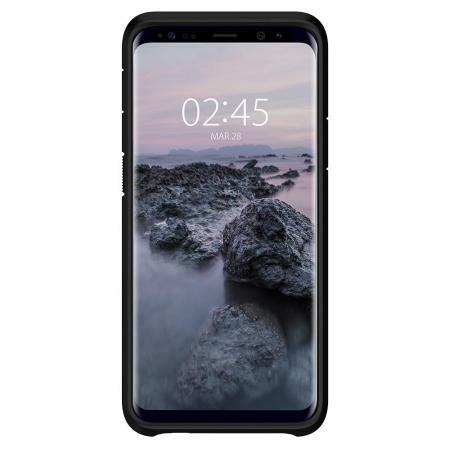 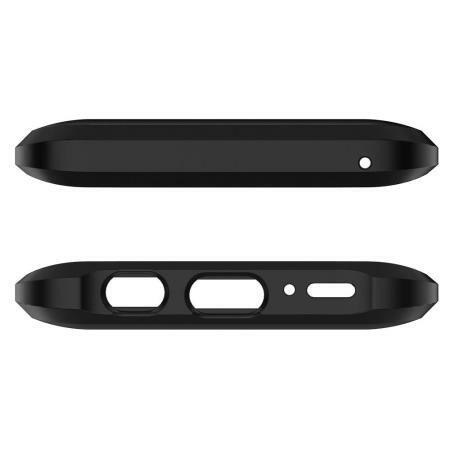 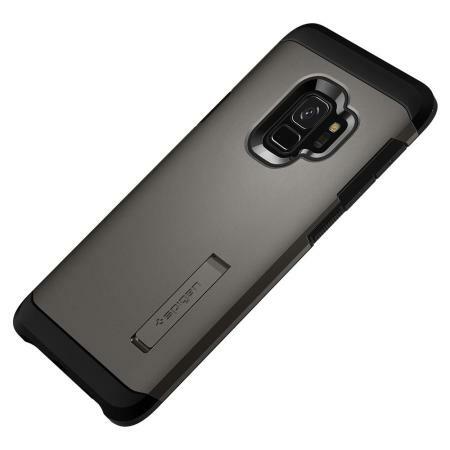 The case also features cut-outs for the ports and features of the Samsung Galaxy S9, including the dock connector and camera.